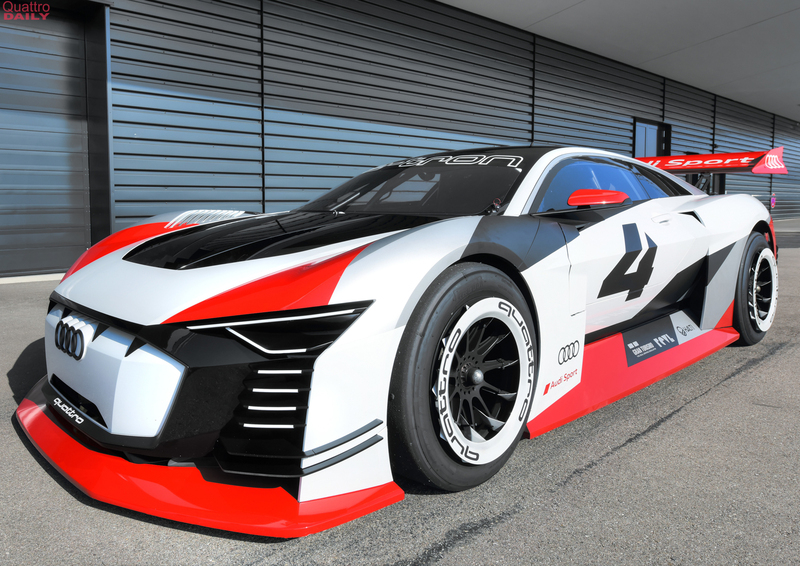 Audi just recently revealed its collaboration with the Gran Turismo video game series — the Audi e-tron Vision Gran Turismo. The Audi e-tron Vision GT exists in two ways, being both a fully functioning, all-electric race car and a digital car in the game. 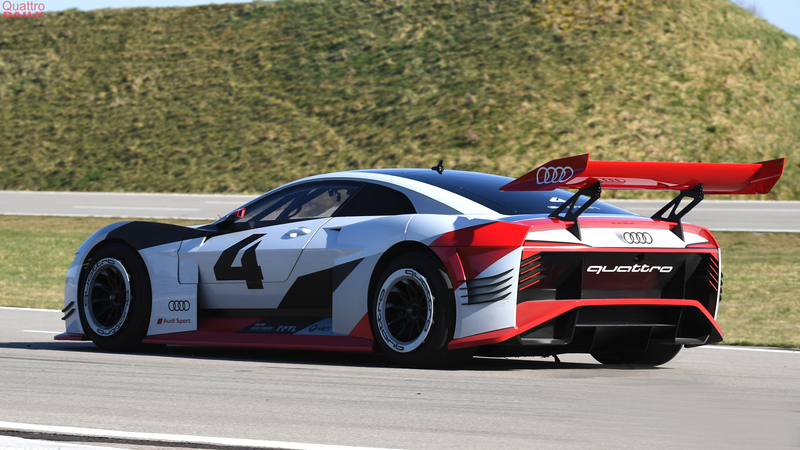 Top Gear had recently been given the chance to test the e-tron Vision GT, the real one obviously, at Audi’s Neuberg test track. The design of the Audi e-tron Vision GT is intentionally reminiscent of the old-school Audi 90 Quattro IMSA GTO, one of the very best racing cars to ever come from Audi. It also looks extremely aggressive and highly emotive, as Audi wanted to make sure it brought some emotion to electric racing. We think it looks absolutely superb and we’d kill for the chance to drive one. But what’s even better than its looks is what lies under the skin. Powering the Audi e-tron Vision GT are three electric motors, two at the rear axle and one at the front, which combine to make a whopping 815 hp. That’s immense and, when combined with its ultra low curb-weight of 1,450kg (3,196 lbs), makes it very, very quick. Audi claims a 0-60 mph time of 2.5 seconds and that seems entirely possible. Top Gear claims that it’s very quick from a stop or out of tight corners. However, like all electric cars, its brutal acceleration begins to taper off after 100 mph or so. Apparently, the Audi e-tron Vision GT handles and drives the same as it does in the video game. So if you’re a Gran Turismo Sport owner and want to see what it’s like to drive this all-electric Audi race car, have at it.